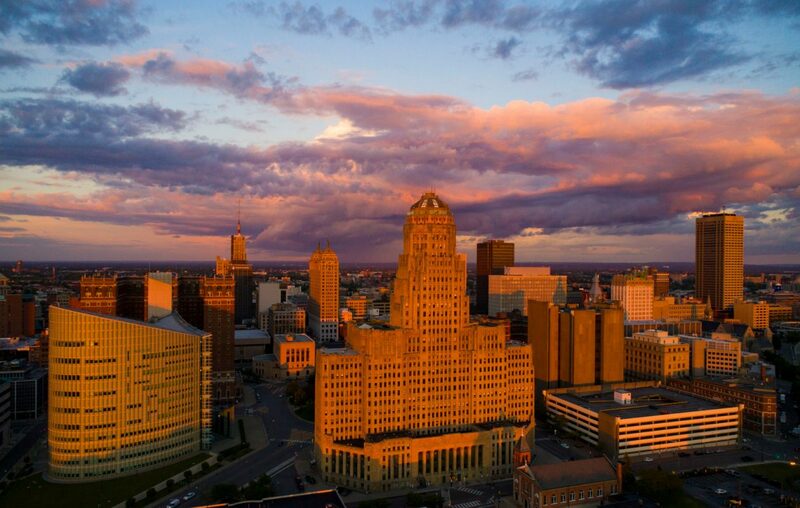 The dome of Buffalo City Hall will be lit in blue and white on Sunday night in honor of the University at Buffalo men’s and women’s basketball teams, Mayor Byron W. Brown announced Sunday afternoon. Both teams advanced Saturday to their respective NCAA tournaments by winning their conference championships in Cleveland. The men defeated Bowling Green, 87-73, to capture their Mid-Atlantic Conference Tournament for the fourth time since 2015, while the women held off Ohio, 77-61, to earn a MAC title for the second time in team history.